Pure organic fusion- Yoga and Pilates an internationally recognised exercise system, which has an award winning DVD series,developed over the past 20 years. See website for DVD specials, packages and testimonials over 650k sold worldwide. 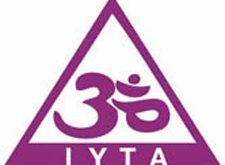 IYTA – Celebration of 50 Years of Yoga. For the first time in Australia the IYTA brings together an outstanding group of yoga masters to celebrate the journey from the beginnings of yoga in Australia to the popularity to experiences today. Free yoga session each morning and yoga practice and movement included throughout the presentations. Don't miss this amazing opportunity to join the yoga masters this October in Sydney.